Do you like to dance or swim? Do tumbling and cool tricks? Or leap fences in a single bound? Our Specialty Program pairs gymnastics skills with the other activities you love to do, or have always wanted to try. Don’t see something you think would be a perfect fit? Talk to us. Who is this program for? Children and teens who want to explore fun, gymnastics-based activities and work on goals with an experienced coach. If you’ve ever wanted to strengthen your tumbling skills, this is the class for you! 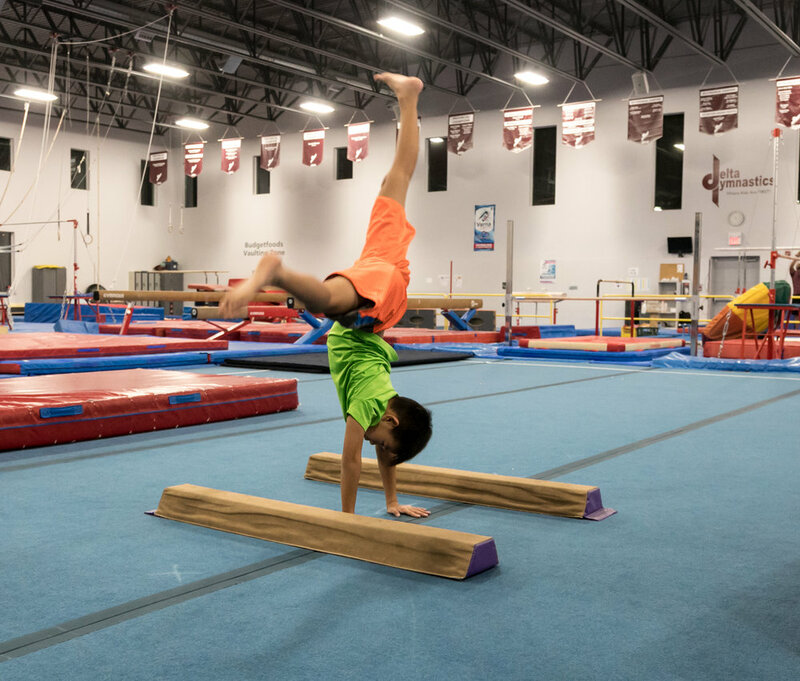 Learn the basics of round-offs and cartwheels, then progress to more advanced skills such as back handsprings and walkovers using the trampoline and floor stations to learn. Who is this class for? Kids and teens who want to improve their tumbling skills and spatial awareness. 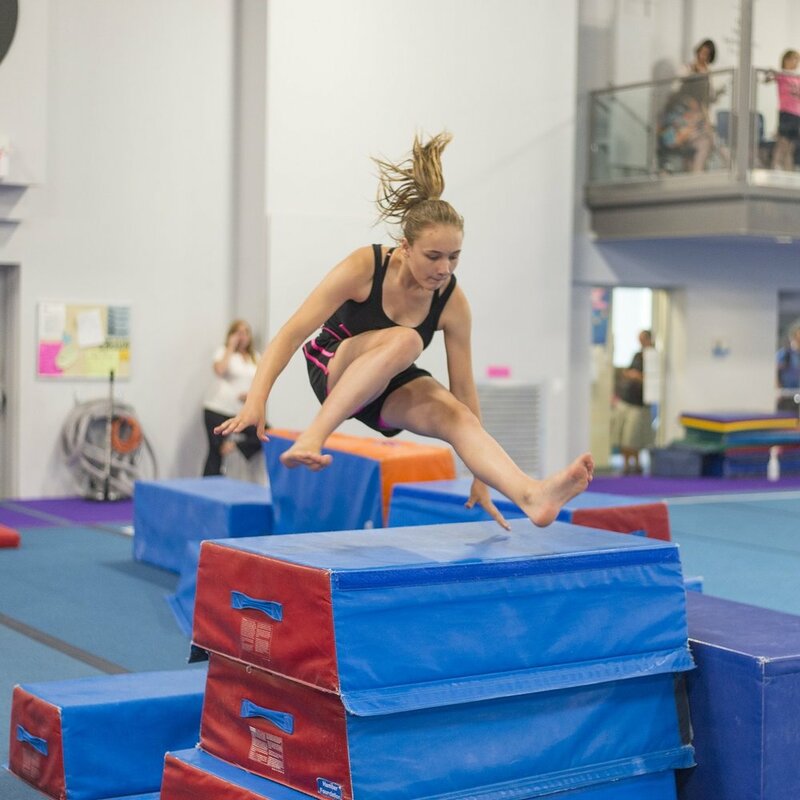 Perfect for all kinds of athletes: divers, snowboarders, skateboarders, freestyle skiers, dancers, cheerleaders and, of course, gymnasts wanting to improve their tumbling skills. This class gives kids the opportunity to freely explore gymnastics based activities such as parkour, acrobatics and trampoline. Fundamentals of movement and safe landing skills will be emphasized. This class focuses on landing and safety rolls to develop obstacle running, as seen in Parkour or Ninja Warrior.